Guns mostly fell silent in Syria and Russian air raids stopped on Saturday, the first day of a cessation of hostilities that the United Nations has described as the best hope for peace in five years of civil war. Under the US-Russian accord accepted by President Bashar al-Assad's government and many of his foes, fighting should cease so aid can reach civilians and talks can open to end a war that has killed more than 250,000 people and made 11 million homeless. Russia, which says it intends to continue strikes against areas held by Islamist fighters that are not covered by the truce, said it would suspend all flights over Syria for the first day to ensure no wrong targets were hit by mistake. The truce seemed largely to be holding, though rebels reported what they described as occasional government violations, and one commander warned that unchecked, the breaches could lead to the agreement's collapse. Jaish al-Nasr, a group affiliated to the Free Syrian Army (FSA) which has backed the truce, said government forces had fired mortars, rockets and machine guns in Hama province and that warplanes had been constantly present in the sky. "Compared to the previous days it is nothing, but we consider that they broke the truce," Mohamed Rasheed, head of the group's media office, told Reuters. Another FSA-affiliated group, Alwiyat Seif al Sham, said two of its fighters had been killed and four more wounded when government tanks shelled them in rural areas west of Damascus. A Syrian military source denied the army was violating the truce agreement. State media described rocket attacks near Damascus and several deadly attacks by Islamic State. But overall the level of violence was far reduced. "Let's pray that this works because frankly this is the best opportunity we can imagine the Syrian people has had for the last five years in order to see something better and hopefully something related to peace," U.N. Syria envoy Staffan de Mistura said at a midnight news conference in Geneva. "I think that the feeling that we have today is that the situation is very different but of course every day has to be monitored," he said. The agreement is the first of its kind to be attempted in four years and, if it holds, would be the most successful truce of the war so far. De Mistura said he intends to restart peace talks on March 7, provided the halt in fighting largely holds. But there are weak spots in a fragile deal which has not been directly signed by the Syrian warring parties and is less binding than a formal ceasefire. Importantly, it does not cover powerful jihadist groups such as Islamic State and the Nusra Front, al Qaeda's branch in Syria. Islamic State claimed responsibility for a suicide car bomb in Hama province. Nusra has called for redoubled attacks. Moscow and Damascus say they will continue to fight them, and other rebels say they fear this stance may be used to justify attacks against them too. A rebel fighter said government forces briefly fired artillery at a village in Aleppo province, which he said was under the control of the Levant Front, another FSA group. But he said the frontline was quieter than before. "There is calm. Yesterday at this time there were fierce battles. It is certainly strange, but the people are almost certain that the regime will breach the truce on the grounds of hitting Nusra. There is the sound of helicopters from the early morning," he told Reuters earlier on Saturday. Fighting raged across much of western Syria right up until the cessation came into effect but there was calm in many parts of the country shortly after midnight, the Observatory said. 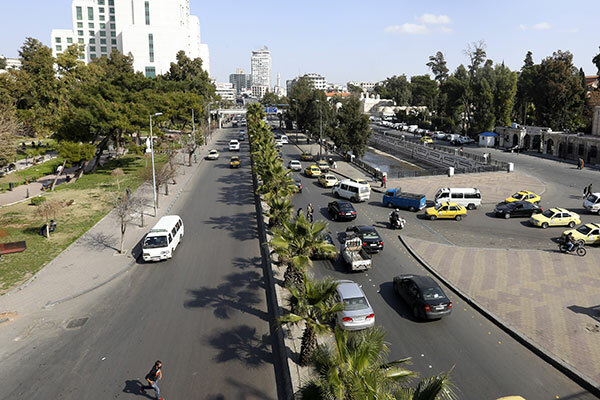 "In Damascus and its countryside ... for the first time in years, calm prevails," Observatory director Rami Abdulrahman said. "In Latakia, calm, and at the Hmeimim air base there is no plane activity," he said, referring to the Latakia base where Russia's warplanes operate. After years in which any action by the United Nations Security Council was blocked by Moscow, Russia's intervention has opened a path for multilateral diplomacy while undermining the long-standing Western demand that Assad leave power. The Security Council unanimously demanded late on Friday that all parties to the conflict comply with terms of the plan. U.N.-backed peace talks, the first in two years and the first to include delegations from Damascus and the rebels, collapsed earlier this month before they began, with the rebels saying they could not negotiate while they were being bombed.